Product prices and availability are accurate as of 2019-04-03 20:13:45 EDT and are subject to change. Any price and availability information displayed on http://www.amazon.com/ at the time of purchase will apply to the purchase of this product. 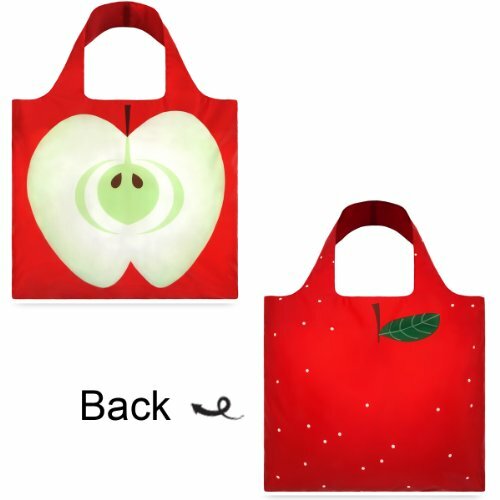 Your mouth will water with this Frutti collection of reusable bags. With its sweet pinks, fresh greens, and juicy reds, these bags have the flavor of a million calories. The bags and pouches have a different design on the front and back. 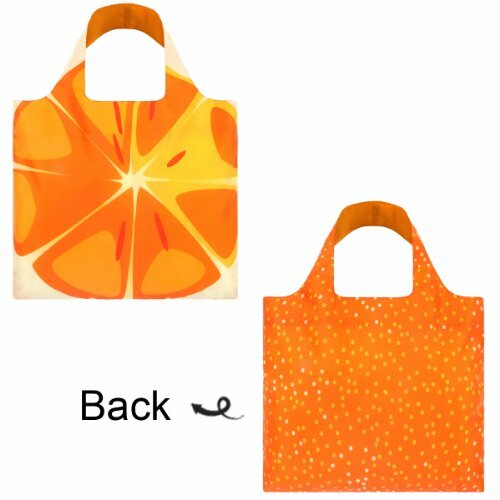 Conveniently store these LOQI reusable shopping bags in three different ways: 1. Fold and tuck into the included zipped pouch, 2. roll and secure with the snap strap, or 3. stuff into the inside pocket. The bags hold up to 44 pounds individually, are water resistant (will not fade), and a great replacement for plastic bags. Each reusable bag comes with a zipped pouch for easy storage and an inner pocket for carrying your keys, wallet, and phone. Collection comes with 4 reusable bags. Holds up to 44 pounds individually, a great replacement for plastic bags. Water resistant. Dimensions: Bag: 20 x 16.5 inches, zipped pouch: 4.5 x 4.5 inches. Material: Polyester, OEKO-TEX certified.